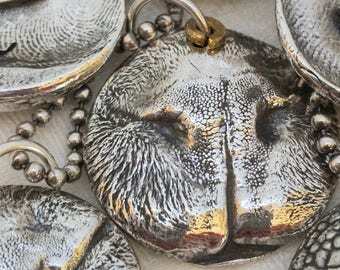 There’s no better keepsake than a custom sterling key ring featuring your pet’s cute little nose. You know, the one that nudges you! With this kit, I give you what you need to capture all their characteristics, and you simply send it back for me to create something you’ll cherish forever. It beautifully captures their nose that happily greets you time and time again. Your best friend’s name is also lovingly included on the back side. 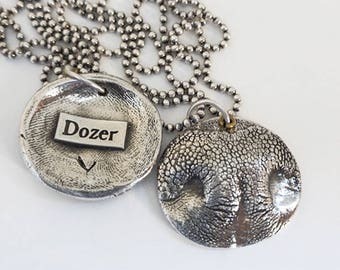 I've been making impressions for several years for my Etsy shop and for vet clinics across the country. I love that you trust me to make keepsakes of your best pal. 5. I ship your new key ring within a few days. 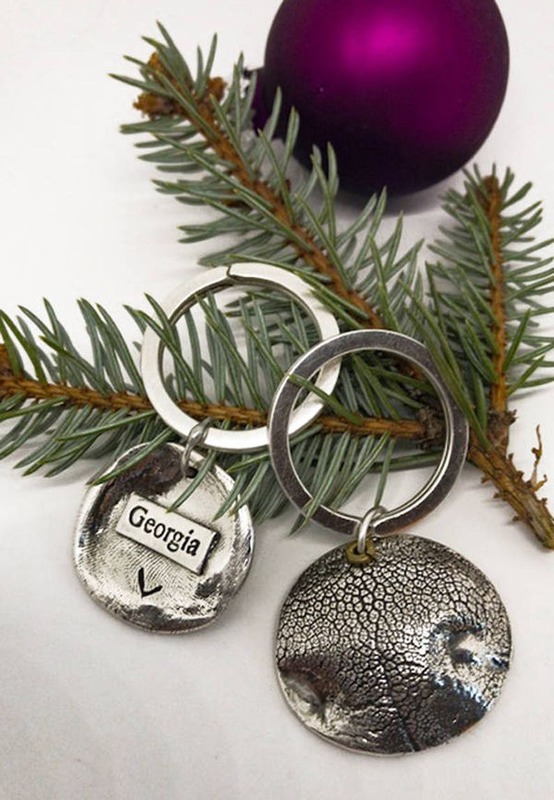 One-Of-A-Kind: As each puppy and kitty key ring is custom made from your furry friend’s features, there will be natural variations in sizing, centering, and diameter of your silver key ring. Canadian Friends: If you are able to acquire the mold making material from a hobby shop in Canada reach out to me and we can adjust the shipping. 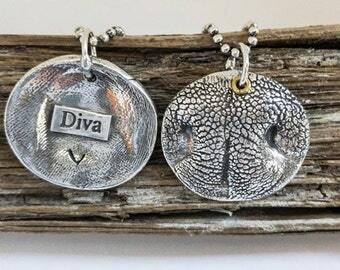 I would be happy to make you a custom listing. I love this keychain. I'm so glad that I was able to make the print of his nose before my dog passed from cancer. It's a beautiful keepsake and the shipping and creation was very fast and easy with good instructions. LOVE it! Best part was seeing the little tears building in my son's eyes ! Our babies nose print came out perfect. Something we’ll always cherish.